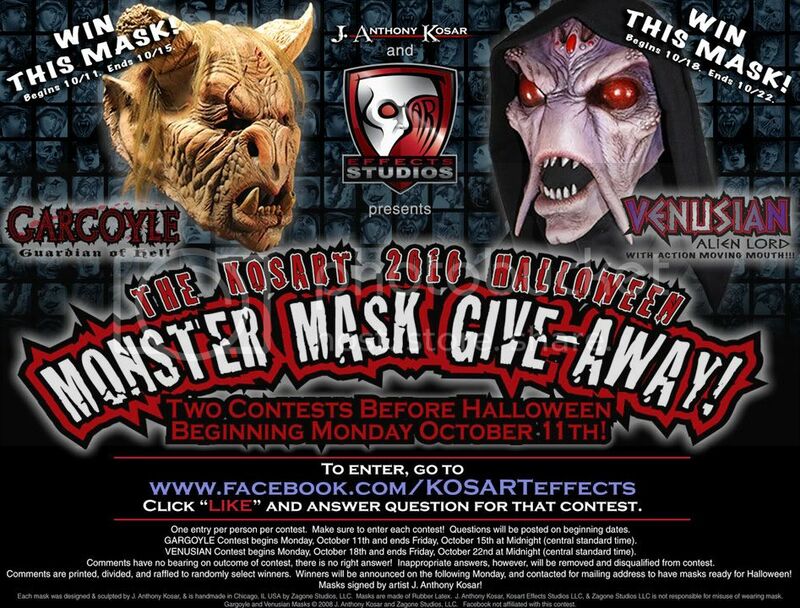 As I am new here, I'm not sure if here is a good place for it, but anyway, I wanted to announce my first contest in the 2 contest give-away from Kosart Effects Studios! 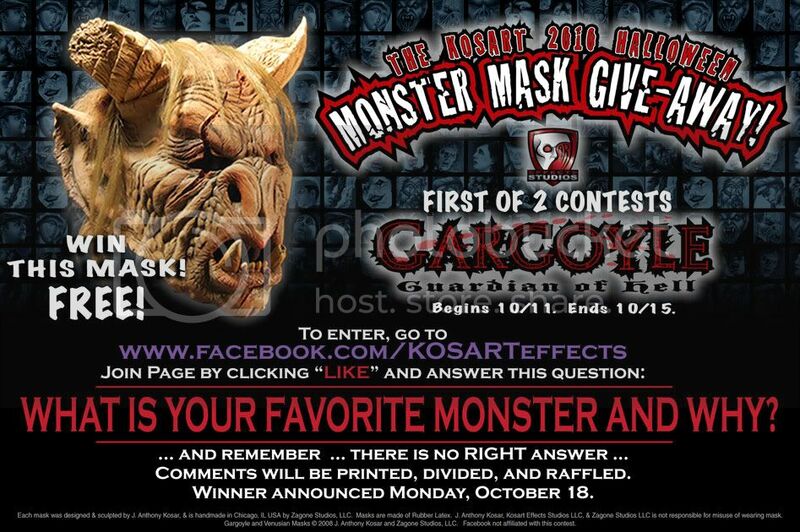 Win a signed GARGOYLE Mask, FREE!! GARGOYLE Contest begins Monday, October 11th and ends Friday, October 15th at 11:59 PM (central standard time). Contest is open for only 5 days! Don't miss this opportunity!! Also enter next week's VENUSIAN Mask give-away contest!! WHAT IS YOUR FAVORITE MONSTER AND WHY? And enter next week too when the VENUSIAN Mask contest begins 10-18 and ends 10-22! Thanks! Spread the word,... And good luck! Last edited by KOSARTeffects; October 15th, 2010 at 12:09 PM. Reason: Added link to other post of my sculptural work. Halloween mask- looks flat, wrong shading and lightning?